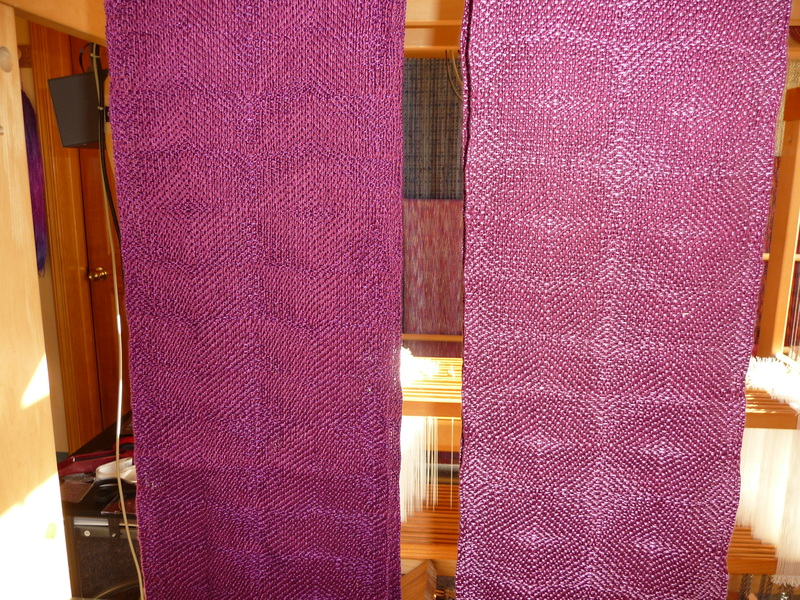 This is #1 and #2 — different weft colors and different patterns. 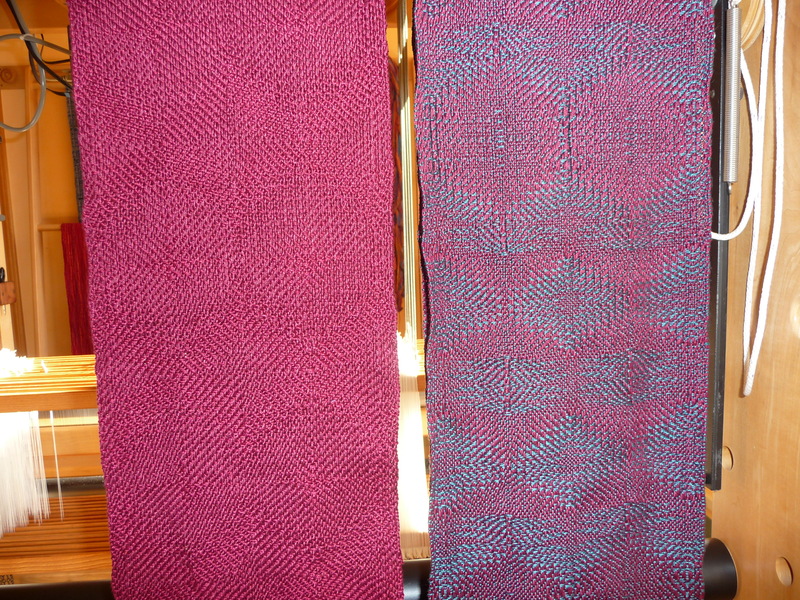 And these are #3 and #4, where the colors are remarkably inaccurate, but the patterning in #4 especially can be seen. 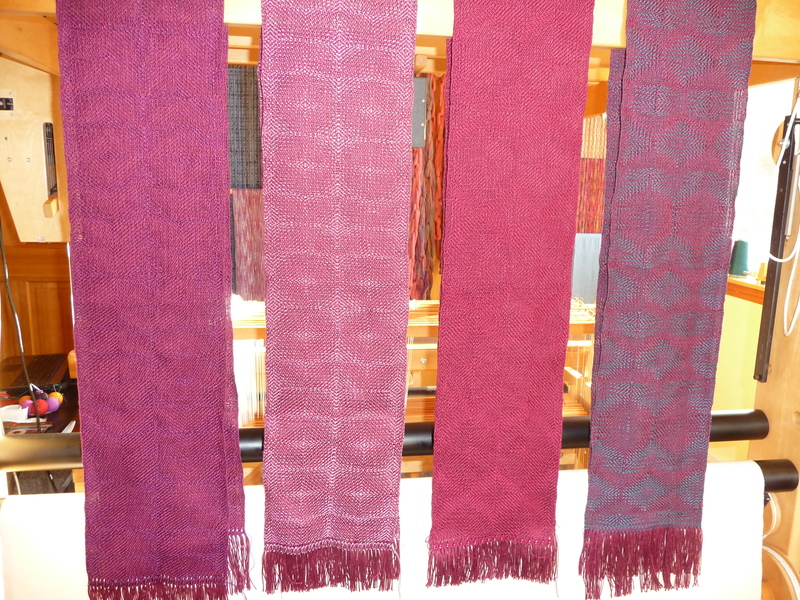 The colors in #3 are so close together (wine warp, garnet weft) that only when the light comes from just the right angle is the pattern visible. Just the way I wanted it! After all the washing and ironing and other detailing, I’ll take another batch of photos with my trusty little camera to show (hopefully) how they’ve changed. Then they go to Michael Stadler for the full razzle-dazzle treatment. 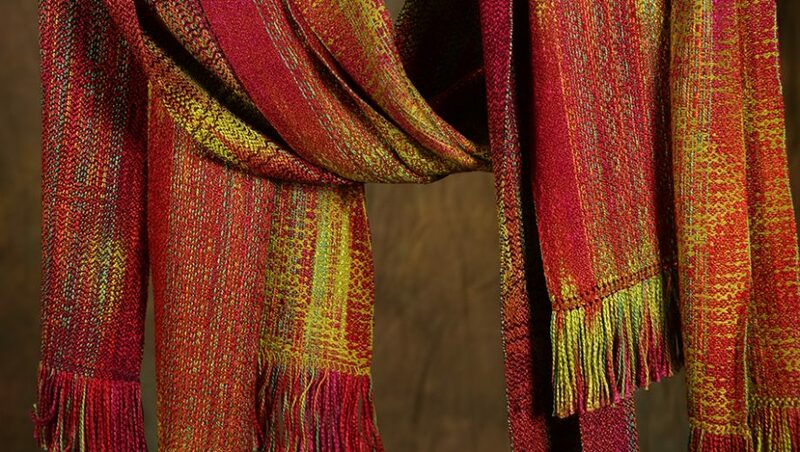 Tomorrow, Fiesta goes onto the small loom (aka Sally), and I start prepping a big shawl warp for a commission — more bamboo. I love bamboo!